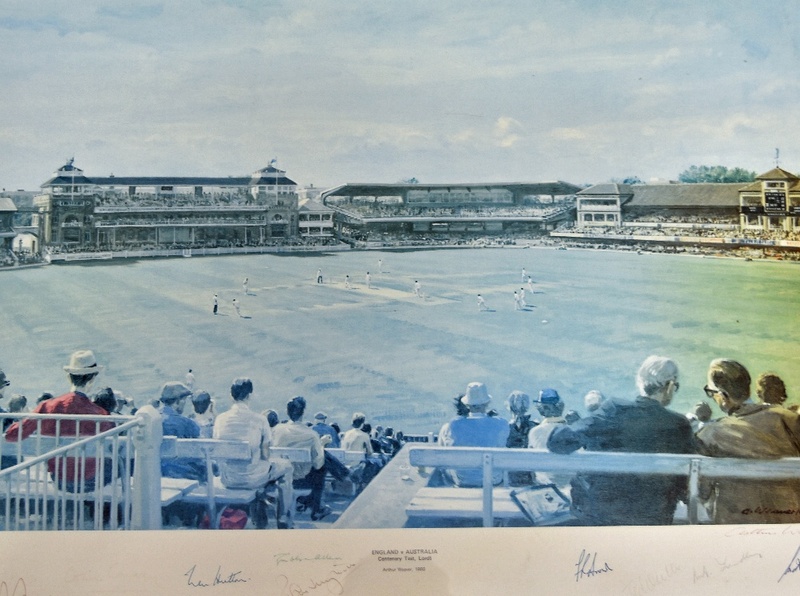 ‘England v Australia Centenary Test, Lords’ Signed Print by Arthur Weaver, 1980 signed by artist and eleven crickets that have captained an England or M.C.C. 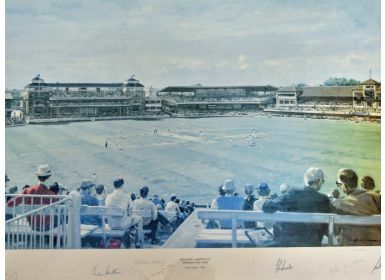 side against Australia, numbered 51/850, framed and glazed. Overall heavy sun fading.